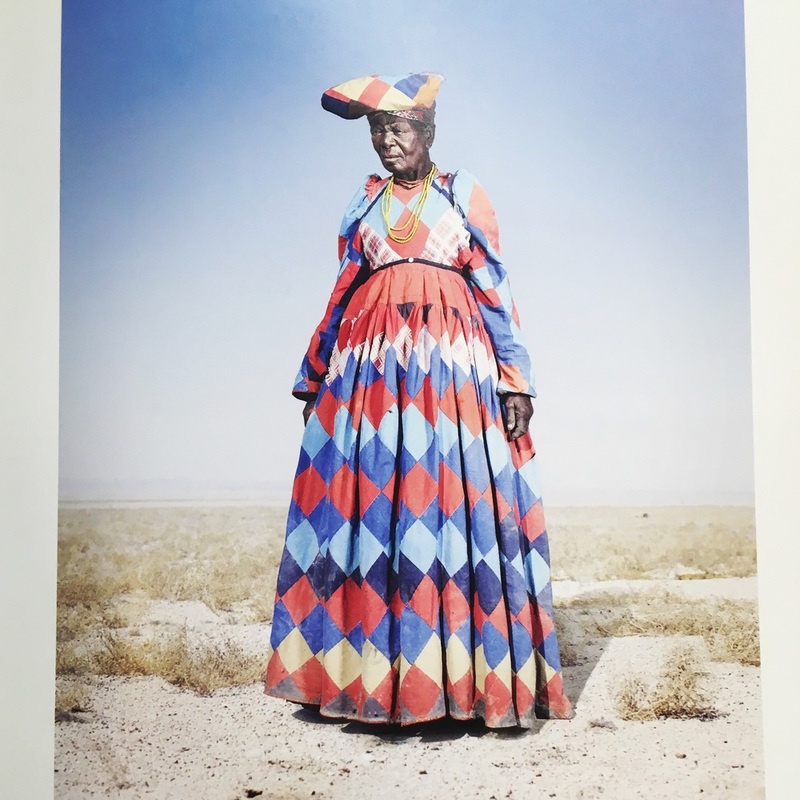 The Herero tribe has created a modern cultural identity through their chosen form of dress as a way of reminding the world of their pain, one which is unknown, hidden or forgotten by the world. This is somewhat a cultural statement to reclaim a sense of identity and self express. Herero means - to throw an assegai, which is an iron tipped hardwood spear. The tribe currently inhabits the southern part of Africa, primarily Namibia. They can also be found throughout Botswana and Angola. They are part of the Bantu people and are believed to have migrated from the Lake Tanganyika area in the east during the 18th century. As a traditionally cattle-herding tribe, the cow is an important part of their identity. 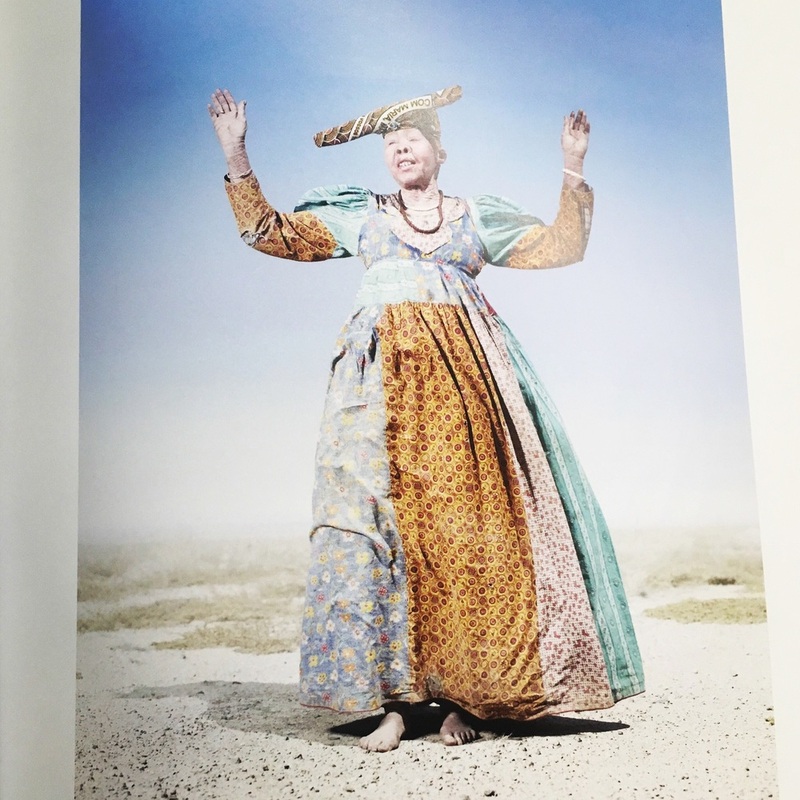 The headdress worn by women, which resembles cattle horn, symbolises the tribe’s relationship with cattle farming. This is also incorporated in song and dance. Women are a very important part of the tribe, playing a different yet crucial part in society. For example, although religion, and authority are taken from the father's line, inheritance of wealth is passed through the mother's clan. So I guess I’m sharing these insanely beautiful pictures with you because it's cool and what not. But most importantly, lest we forget about the atrocities that are deliberately hidden, if not erased from our history. The Herero tribe experienced one of the first holocausts were 90% of the population was wiped out by German colonists. Conflict between the Herero and the German began in 1892 when German settlers arrived, seized the tribe's land and cattle through military force and considered them subhuman. The tribe resisted and in 1904 - 1907 a rebellion ensued which resulted in the Germans devising a plan to annihilate the entire nation. Survivors were robbed of land and livestock and forced into slavery. My hope, dear reader, is that this short piece will inspire you to use every opportunity to learn more of our hidden history; the good, the bad and the terrible. All this in the hope of being a thinking human who is impossible to deceive and therefore conscious and deliberate in his/her actions.